Located at No. 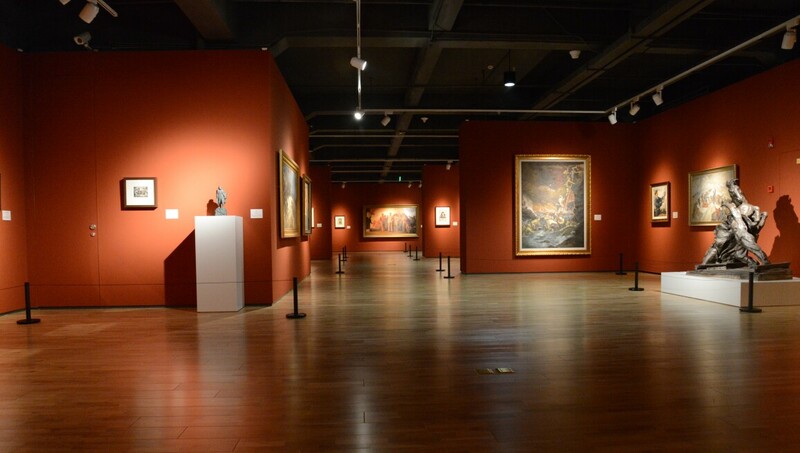 210, Lane 2255, Luoshan Road, Pudong New Area, Shanghai, the Long Museum Pudong was officially opened to the public on Dec. 18th, 2012. With a total area of approximately 10,000 square meters, it is designed by Chinese architect Zhong Song. The building, shaped like a square and constructed chiefly of granite, has tone of grayish white which adds to the minimalist, pure and restrained style of the East. The main part of the Museum has four floors: the basement holds the public education area with a reading room and an academic auditorium; the first floor is mainly devoted to contemporary art of varied themes, along with other recreational facilities such as an art shop and art café; on the second floor is the permanent exhibition area for the unique “red classics,” where the panorama of the artistic creations from the Yan’an Period to the Reform and Opening Up is systematically presented; the third floor contains a permanent exhibition hall and a temporary one for traditional Chinese art, featuring calligraphy and painting, and spaces for displaying ancient Chinese artifacts and furniture.